Bosc pears are at their best in the late fall and early winter, and their versatility in both sweet and savory dishes almost begs you to make the most of the season. These easy pizzas take less time to make than it takes takeout to arrive at your doorstep — if you can’t get raw dough at your supermarket, stop into your local pizzeria and ask to buy some of theirs. Pair with fresh and fragrant Umbrian Castello Delle Regine Poggio delle Regine Bianco 2017. 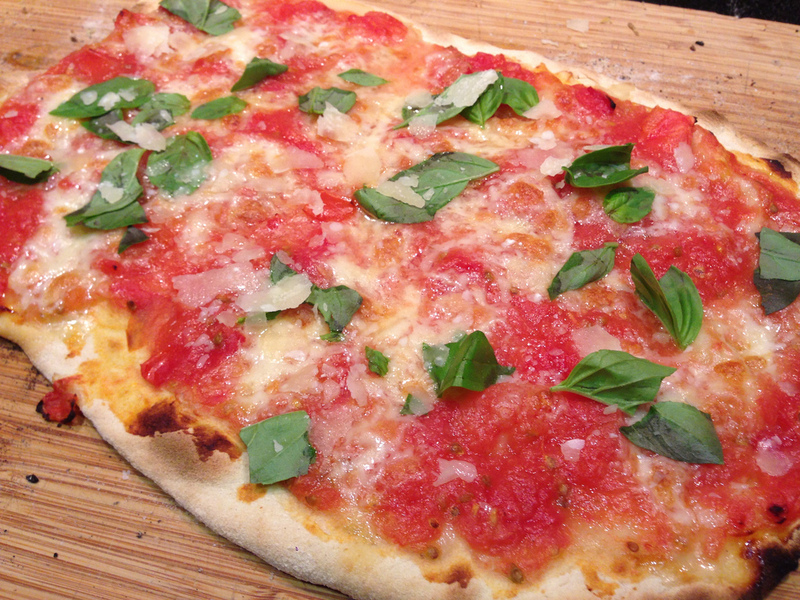 Place a pizza stone or metal sheetpan into the oven; preheat to 400 degrees. In a food processor combine mascarpone, milk and garlic and blend til smooth. Taste for seasoning and add salt and pepper as desired. Split pizza dough and roll each half out into long ovals. Prick with a fork, then carefully slide onto the stone/sheetpan and bake for 10 minutes. Peel and core the pears, then cut into thin ¼” slices. Carefully tear the proscuttio into pieces following it’s natural grain. Remove the parbaked pizza doughs to a large cutting board. Divide the mascarpone mixture between them and spread evenly almost to the edges. Layer the pears on top, overlapping if necessary, then top with the proscuttio pieces. Bake funtil crust is brown and proscuttio is crispy — about 15 minutes. In a mixing bowl, toss together the baby arugula, balsamic vinegar, lemon juice, olive oil, a hefty pinches good salt and some freshly cracked pepper. 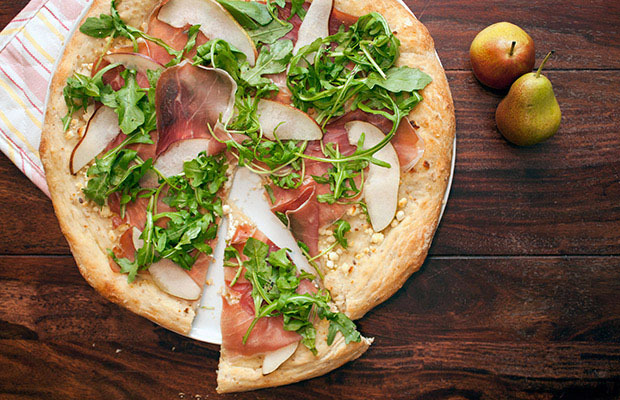 Top the pizzas with the salad and serve immediately. Allison Robicelli is a James Beard-nominated writer, cookbook author, humorist, chef/owner of the highly-acclaimed Robicelli’s Bakery, occasional TV personality, raconteur, wife, mother, and all-around good time.